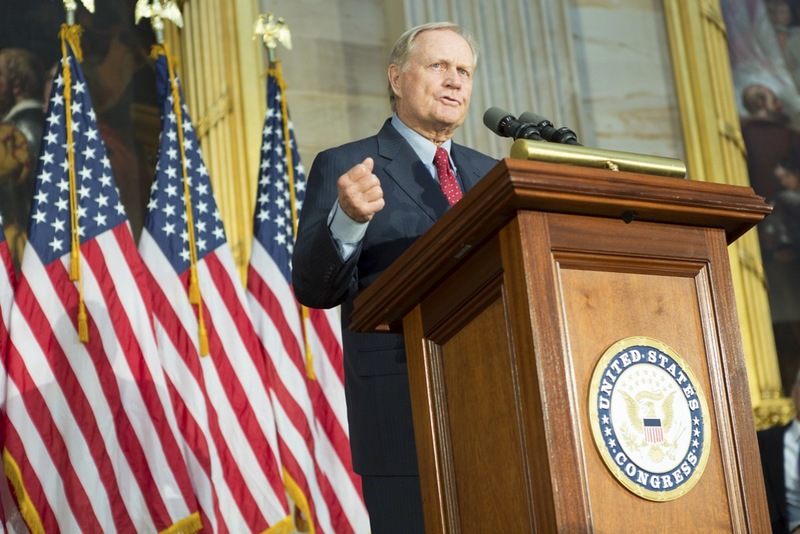 Washington, D.C. — On Tuesday, March 24, leaders of the U.S. House and Senate will present a Congressional Gold Medal to Jack Nicklaus in recognition of his many contributions to the game of golf and his service to the community and the nation. House Speaker John Boehner (R-OH), Senate Majority Leader Mitch McConnell (R-KY), Senate Democratic Leader Harry Reid (D-NV), and House Democratic Leader Nancy Pelosi (D-CA) will take part in the bipartisan, bicameral ceremony, as will members of the Ohio Congressional delegation. The Gold Medal is the highest civilian award the United States Congress can bestow. It was awarded to Mr. Nicklaus pursuant to H.R. 2203, which was sponsored by Rep. Pat Tiberi (R-OH) and signed into law by President Obama on December 16, 2014. The Medal has previously been awarded to only six athletes: Roberto Clemente, Joe Louis, Byron Nelson, Jesse Owens, Arnold Palmer, and Jackie Robinson. For more information on how a Congressional Gold Medal is struck, watch this behind-the-scenes video featuring Matthew Wasniewski, Historian of the U.S. House, and Richard Peterson, Deputy Director of the U.S. Mint.